For those who are are struggling to purify ourselves before the coming Day of the Lord. I have shared my current battle with illness recently. Like war, I have to gird myself daily, make sure I put on every defense I have at my hand, and use every weapon that I can find. And in the midst of it I felt miserably sorry for myself and was not being peaceable in my home. I knew what I needed. To be alone with HIM, to get centered, to submit to Him and allow Him to show me His perspective. I needed Him to set me on the clear path. So I went out and sat under a tree and said my daily prayers and then just cried. "Why? I am trying so hard and walking the very best I know how and seeking to walk better every day. WHY?" I have shared with you that I am battling Candida, which is a natural occurring yeast in our bodies. In it's proper place it helps our bodies digest sugar. But a few things encourage it out of it's proper place. Antibiotics, Immune Deficiencies, Mercury Fillings, Cancer, Diabetes. 19 years ago I lived in sin. And I used contraceptives for two years. In these two years my life sort of fell apart. The man I loved, Aaron de Bruyn, dumped me. I gained about 60lbs. I was terribly depressed. Which led me to Christ! I began to learn the word and began to walk, like a newborn baby. I quit the pills. My health just got worse. I didn't have cycles for upto a year at a time. The doctor told me that I would never be able to have children. She said if I did not drastically change my diet I would die. She recommended Atkins Controlled Carb. So I did it. And I lost the weight. It too was a battle. But eventually... I put down my armor and my weapons. And I gained it all back, and some. Now YHWH was truly with me. He brought my love back into my arms. He brought my love to Christ. He gave us 5 beautiful babies. He gave us a safe and loving home. He gave us fruit trees and chickens and gardens and too many animals. He filled our lives with JOY. But inside of me, Candida remained and grew and grew. I had long known that this verse was not just about homosexuality, but the willingness of both the man and the woman to accept YHWH's will for the 'natural use'. 19 years ago, I rejected the natural use. 19 years ago, I received in my body the recompence of my error. And even though I turned from it, I NEVER admitted that it was a sin in itself. I never, out loud, repented and bound it and cast it away from me. YHWH blessed my walking in obedience, abundantly. But it still lived in me, all this time. EVERY single sin leaves an open door to the enemy. Every single sin that is not repented of AND confessed gives the enemy a foothold in your life. When YHWH said these words to me, I didn't feel sorry for myself anymore, because I got my just meet. I confessed. And the painful wound was cauterized. I share this to encourage you, SEARCH yourselves constantly. 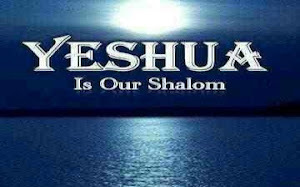 May YHWH richly bless you. Shalom!